The date is set. The venue is booked. 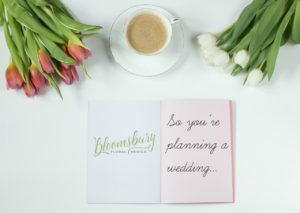 You are now officially in full wedding planning mode. It’s time to add in the details that will make your wedding come to life! The dresses, the music, the flowers, OH MY!  You have decided to schedule a consultation with Bloomsbury Floral Design. (Ok, so you have excellent taste.) What can you expect? It’s technically called a consultation but I think of it more like a chat session about your wedding! I love to meet Brides and watch their faces light up as they talk about their wedding vision. It really is one of my favorite parts of my job. I typically ask Brides to reserve at least one hour for their Consult. This will allow us to review all of your needs for your wedding and also to talk about your style and vision. I welcome you to bring your Pinterest pages and any other pieces of inspiration that you have for your wedding such as fabric swatches, invitation paper etc. In addition to your inspiration, I welcome you to bring your wedding support system! Your Fiance, Mom, Dad, Maid of Honor, whoever you feel is important to be there with you. Once we review all of your needs and I clearly understand your vision for your wedding day, I can then compile an accurate quote for you after our meeting. I always tell my Brides that once we have your proposal finished and you decide to book with us, we can always make additions and changes to your contract as needed as we get closer to your wedding date. We have a final meeting with our Brides about six weeks prior to the wedding to review your contract and finalize all details to ensure we deliver perfection. 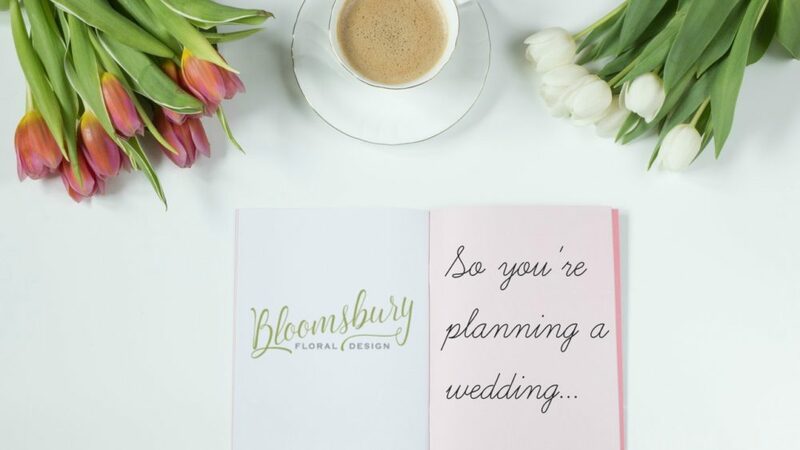 When you book with Bloomsbury you aren’t just hiring a florist to provide flowers for your wedding day. We are here to assist you with design needs and there is always an open line of communication with us during your planning. 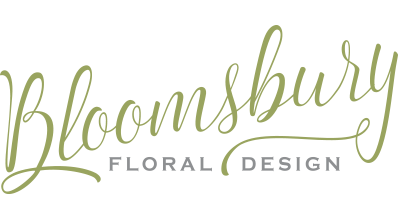 We like to think we are the new generation of floral, event design and planning professionals. We are youthful, have years of experience behind us, on trend and approachable. We are excited about what we do and we can’t wait to chat with you! Feel free to call or even send us an email to schedule your wedding chat today!